Between overloads caused by too many players logging on at once, to hackers threatening to take down its servers, there’s a chance that you may not be able to play Pokémon Go when you want to. Thankfully, the fine folks at New York-based cloud monitoring firm Datadog have whipped up IsPokemonGoDownOrNot.com, a status page showing whether the augmented-reality game’s servers are fully functional or suffering an outage in real-time. 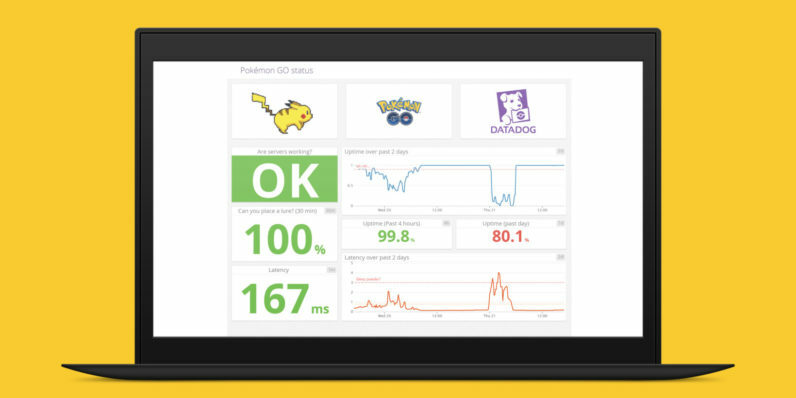 The tracker on the site uses a logs in every 30 seconds using a Pokémon Trainer Club account and checks the servers’ response time. If a login takes more than 15, it’s a sign that the servers are near full capacity and will likely buckle soon. A server latency of more than 3 seconds is another sign to look out for. It’s a handy tool for figuring out whether it’s worth stepping out for your planned afternoon of monster hunting, or putting it off until the game’s servers are back to normal.